Good posture therefore depends on an awareness of your body’s relationship to gravity. 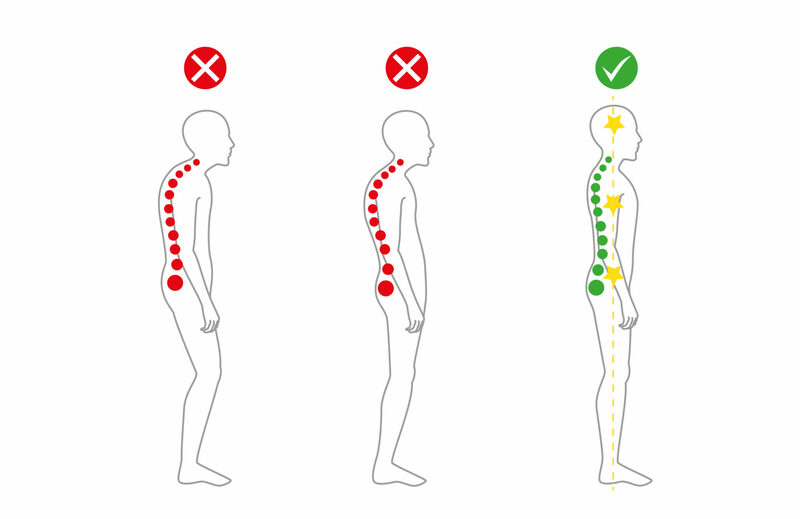 In an optimal upright standing posture your main centre of mass, an area just below the belly button and in towards the spine (in Tai Chi, lower dantien) should be balanced over your contact with the ground. 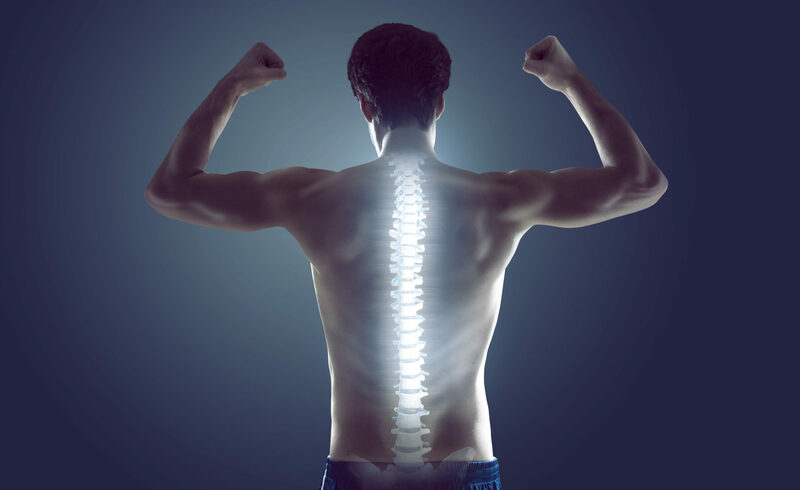 Moving upwards, the centre of gravity of your ribcage (middle dantien) and head (upper dantien) is balanced over your lower dantien. Take your time to body sense how this feels. Take a moment in this standing posture to focus on the breath. Keeping the lips lightly together and jaw relaxed notice the effortless flow of air in and out through the nose. Follow rather than force the breath. It is important, however, to realise that posture is not to be considered as a single act or position, but a unique moment in time that captures only one possible postural position. Standing posture is a beginning, not the end to encouraging good postural alignment. As Katy Bowman highlights in her book Move your DNA “…correct human alignment does not imply that there is one body position that we should be using all the time. In fact, it is often our determination to maintain a ‘good’ fixed posture that is undermining our health”. I find clients often misunderstand the meaning of a strong core, focusing only on the stomach muscles and over-tensing these to ‘keep the core engaged’ during walking and running. Over-tensing stomach muscles can have a detrimental effect on movement, breath and organs. Muscles deep in the core of the body should be reactive to movement, working accordingly to maintain structural efficiency and ‘the state of musculoskeletal balance that involves a minimal amount of stress and strain on the body’. Avoid forcing alignment. Your current posture is a result of how you have lived, breathed, moved, played and worked since you were born. Gravitational pull shapes posture as do our emotions, how we think and feel. Having an awareness of current posture, how our body feels and looks is the starting point. From there you can work with a Chi Running Coach to practice simple exercise, drills and visualisations to help improve alignment. A good manual therapist such as osteopath, physio, massage therapist and Rolfer is also invaluable as part of your practice. Unfortunately many of us don’t have the budget to see such a specialist on a regular basis. Or we often only approached one in the event of injury or pain rather than for structural maintenance. 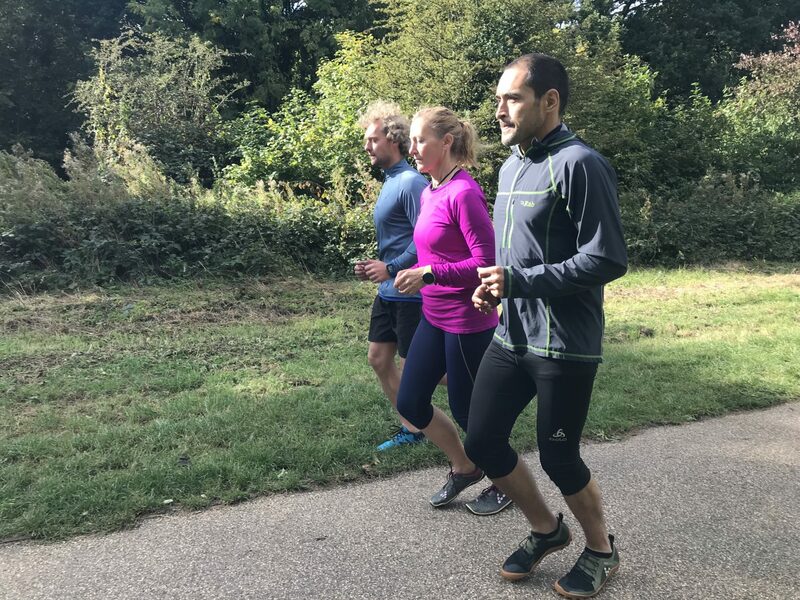 The Chi Running Instructor Training Programme will give you the tools to deliver a simple but effective training method to help your clients improve their running technique. Check out our Teach It page or register below to receive more information. Phil is co-teaching his first 1-day Chi running workshop in Manchester/Bury with Gray Caws. Spaces are limited so book now to avoid disappointment. Includes free Run Club session on Sunday 21 October. I have always been involved in outdoor sports, from an early age, playing ice hockey and rugby in my teenage years then progressing to more hair-raising sports in the world of trad and sports climbing and bouldering. I have pretty good body awareness and balance through bouldering as 80% of sports climbing and bouldering is done through the core, legs and feet much to the surprise of people when they think arms for climbing. That coupled with the mental mindfulness needed especially in competitions being put in isolation and calming the mind was my favourite bit of the competition side. After a bad fall climbing a sport route in 2009 and injuring my shoulder, I wanted to be active whilst recovering so took up trail running. Having grown up with asthma, I hated running from an early age and avoided it where possible. 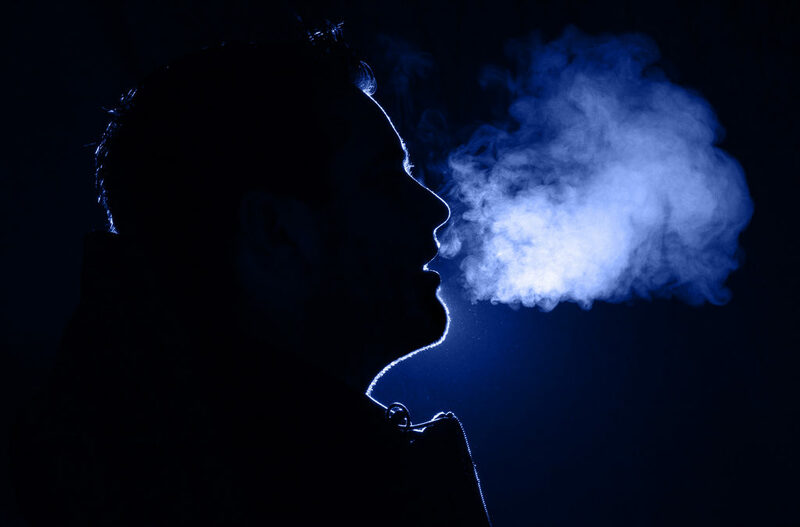 I didn’t like the feeling of breathlessness, it made me feel out of control and although it got better over time, it was always a challenge. I have always had a passion for inspiring people to do things they thought they could never achieve, coupled with 20 years of performance management coaching experience in my day job. I discovered Chi Running in early 2017 after receiving the book as a present from my partner who is a yoga instructor. She had already introduced me to the world of postural alignment and was running yoga and conditioning workshops for runners which I started to attend and it just made sense and started to click together. I also liked the fact that just as in yoga, Chi Running should be seen as a holistic practice rather than goal driven. You don’t do yoga because your flexible! And you don’t go out to injure yourself when you run but the latter is often the case. For various reasons I used running as my go-to beat-myself-up sport, quite the opposite to my bouldering, I would stick an obligatory pair of headphones in and run with no reason other than to forget about the bad day I’d had! Only to actually feel worst, not really relaxed and at worst injure myself. I started to incorporate the Chi Running techniques into my running and I had light-bulb moments noticing pockets of effortlessness around the challenges I had been plagued with. Breathing being my major stumbling block. Now I practice Hatha Yoga, and when I say practice I’m like the little reluctant child that got dragged into doing it but then had a sudden realisation ‘oh why wasn’t I doing that all along’ and then I find myself reverting back to my old ways and realising I felt better when I was doing it and then jump back in. Chi Running allows me to combine all those things and more into running, yoga and my every day life. I now find myself adjusting my posture, listening to my breathing and experimenting how things feel within my body. Running is more enjoyable and, dare I say it, meditative now. No music disturbance, no beating myself up if I get too out of breath (I walk instead) and when I feel in control of not just my body but my mind again, I break back into the run. As with anything in life gradual progress allows something to grow through its own development stages. Building good foundations with any structure will allow it to grow upwards solidly with a sound structure. poor foundations and it will collapse. As with Chi Running, gradual progression through each stage has allowed me to gradually develop my technique allowing for any changes made to settle in. I’ve used Form > Distance > Speed as my mantra for some time now and it is paying dividends. I can now breathe with ease and relax into my runs. My aim… to help people make small gradual changes, in their running to achieve what seems out of reach and that it may inspire more change in all areas of their lives. It’s really amazing to see people reconnecting with their bodies and minds and being able to recognise what they are actually capable of. I’m a big advocate of focusing on the journey not the destination in both personal and work life, The physical and mental aspects of Chi Running act as a metaphor for encountering difficulties in life; sometimes uncomfortable but even the most stubborn obstacle can be overcome with perseverance, mindfulness and generally thinking it’s not going to kill me! My name is Phil Young and I’m a Chi Runner. Phil is co-teaching a Chi Running Workshop in Bury 20 October with Gray Caws. Click here to book. Chi Running teaches a progression in your practice following the five elements found throughout Chinese philosophy – earth, water, fire, air and space. 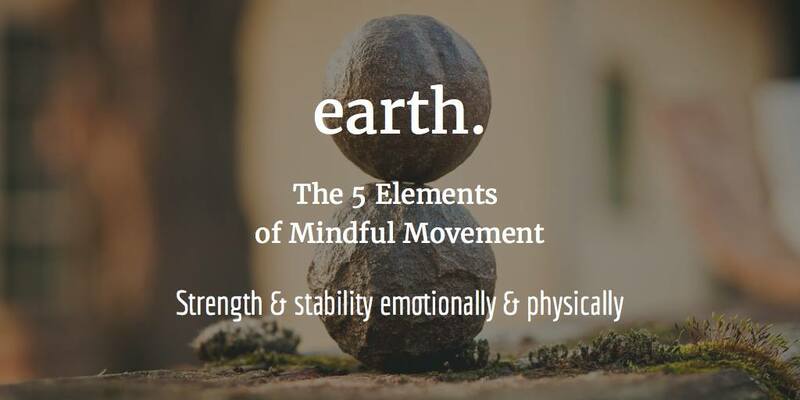 Earth represents physical and emotional strength and stability. There are numerous health benefits when we are physically connected to the earth enabling the transfer of electrons from the ground into the body. Mounting evidence suggests that the earth’s negative potential can create a stable internal bioelectrical environment for the normal functioning of all body systems. Research supports the idea that earthing the human body by either walking outside barefoot or indoors connected to a grounding system can reduce overall stress levels, help the body to relax and improve recovery time after exercise*. I believe this to be one of the reasons why people benefit so much from retreats. Chi Running retreats focus on reconnection and re-energising of mind and body not only internally but also externally with the environment. Chi Running retreats offer the perfect opportunity to spend time outdoors, connected to the earth which is as essential to health as sunshine, clean air and water, nutritious food, and physical activity. Click here to check out our upcoming Chi Running Retreats this autumn and winter on the Costa Brava, Assisi Italy and Cornwall. 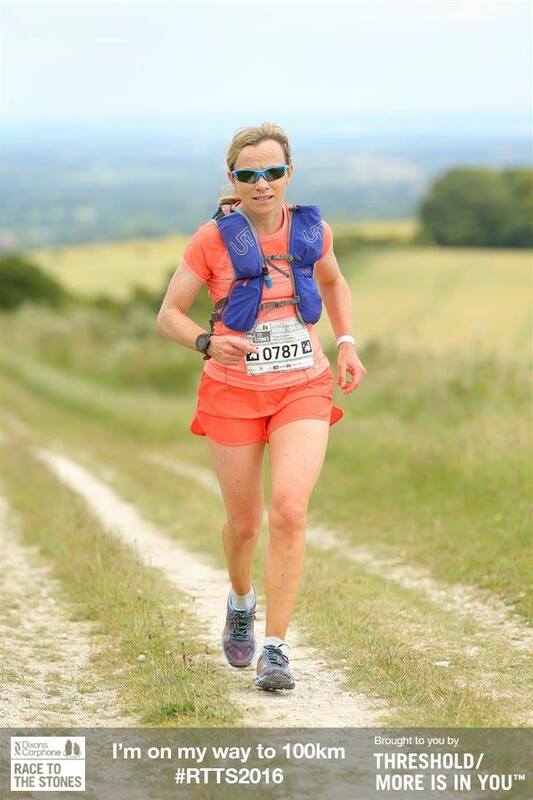 A massive big Chi Honour to Rachel Masser who has just completed the Race to the Stones 100km trail race and finished second lady! Rachel has been running for 25 years and always enjoys the freedom it gives. She has run competitively at county level in road, cross country and fell events. After completing several marathons she decided to try the challenge of ultra races. Rachel, from Woodstock in Oxfordshire, is currently training to be a Chi Running Instructor and aims to be fully qualified by the autumn. Rachel will be getting her first taste of teaching Chi Running, assisting at a Chi Running and Yoga 1-day workshop in Oxfordshire in September. This summer sees the first series of Chi Masterclasses in the UK and Ireland. The aim of these masterclasses is to deepen your knowledge, skills and practice of the Chi Running and walking principles. Each masterclass is given by a highly-respected specialist within their field. 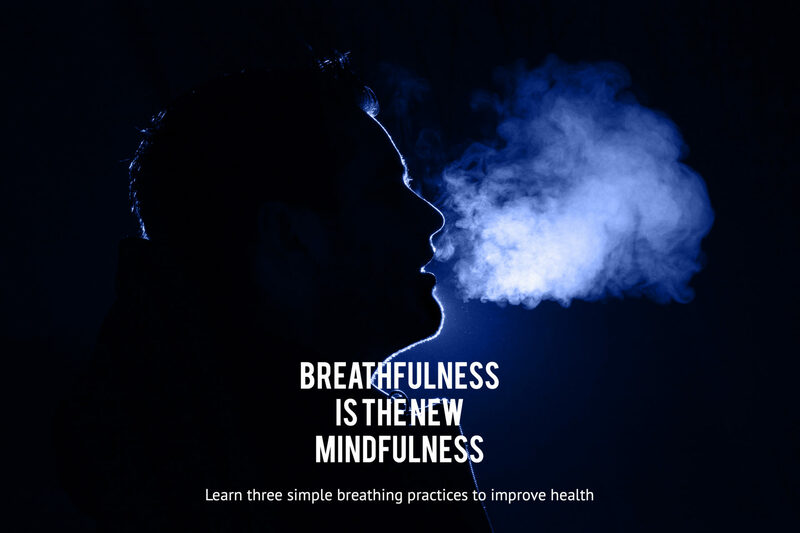 The series includes: Patrick McKeown presenting The Oxygen Advantage looking at efficient breathing, improving VO2 max and reducing breathlessness during exercise; Gray Caws with an Introduction to Advanced Chi Running Technique and Performance; Move Well to Be Well – Restorative Exercise with Michelle Muldoon and Chi Walking; and Awareness through Movement – Feldenkrais with Andrew Dawson. We also have an Advanced Technique Course which includes online video tutorials, training manual and 2-day workshop presented by Gray Caws and Nick Constantine. This course offers Chi Ambassador status for those completing it and is ideal for those who are considering the Chi Running Instructor Training Course. Whatever your interest in Chi Running and walking this summer, these masterclasses and courses offer you the chance to take your passion to the next level.